Sollis is developing an investigational extended-release form of a well known analgesic and anti-inflammatory medication called clonidine. 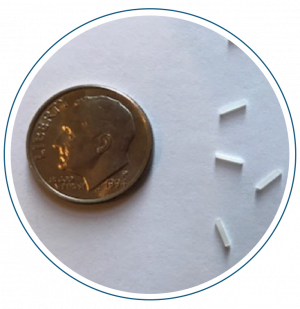 The extended-release form is referred to as a “clonidine micropellet” and allows for localized delivery of clonidine to the affected nerves in order to reduce pain and inflammation via simple, one-time, epidural injection. Sollis’ product is not approved by the FDA. How does clonidine work for sciatica? Sollis’ approach addresses the two components of sciatica by bathing damaged nerve roots in clonidine for an extended period of time. First, clonidine interrupts pain signals sent from one nerve to another. Blocking this communication prevents pain signals from reaching the brain and may result in immediate pain relief. Second, clonidine may break the inflammatory cycle of sciatica and prevent progression to chronic pain. Clonidine is an alpha-2 agonist that has been approved for systemic administration by the FDA for several uses because of its potent activity. The first product approved was introduced in 1974 as an orally administered pill for treatment of hypertension. In 2010 Clonidine was also approved for treatment of attention deficit hyperactivity disorder and is usually administered with a patch. In addition to its medical benefit when administered systemically, Clonidine was discovered to have a potent analgesic effect if delivered as a liquid directly to the nerve roots. 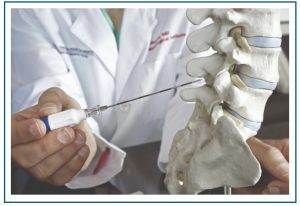 In 1996 it was approved for epidural infusion to treat severe pain in cancer patients. Unfortunately, due to the short half-life of the compound, these patients required a pump to be surgically implanted that would continuously infuse the clonidine. Because of the invasive nature of the administration, the liquid clonidine is not widely used for conditions like sciatica and is reserved for extreme conditions like end stage cancer.